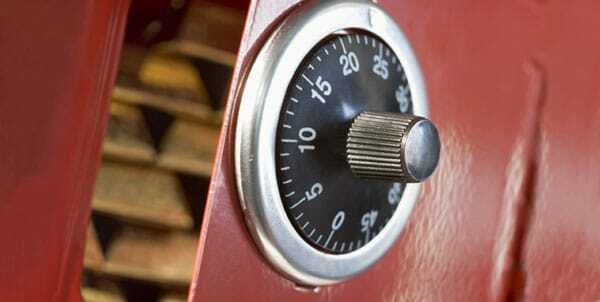 People turn to precious metals for safety and security. With the global financial climate growing more ominous by the day, it’s no wonder that many Americans are becoming distrustful of conventional investments and flocking to precious metals. Furthermore, many individuals are allured by the possibility of storing their precious metals at home using an IRA LLC, commonly known as a Home Storage IRA or Checkbook IRA. But not all that glitters is gold when it comes to Home Storage IRAs. Conflicting information about the risks and benefits of Home Storage IRAs abounds, and it’s difficult to cut through the clutter. Plus, many savers aren’t aware that they have other, equally attractive alternatives to Home Storage IRAs, such as Self-Directed IRAs that are managed by a qualified custodian. Here’s what everyone should know about Home Storage IRAs before they take the plunge. The biggest hurdle to keeping a Home Storage IRA is regulatory compliance. While the concept of home storage seems simple, there’s a mountain of red tape that gets in the way – not to mention a whole slew of tax risks from the IRS. And that’s just the tip of the iceberg. There are several other qualifications you must meet, and oftentimes the IRS pays special attention to Home Storage IRAs for potential violations. If you get audited, one little slip-up could result in all the funds in your Home Storage IRA being treated as a distribution, which means you’d lose all tax-deferred benefits and even get hit with an extra 10% penalty if you’re under 59 ½ years old. That’s up to 35% of your investment gone instantly. But it could be even worse than that. If the IRS decides the day you opened your Home Storage IRA was the date of the initial “distribution”, you could be on the hook for additional interest and penalties on back taxes owed from the time of the distribution. When you decide to pursue a Home Storage IRA, you’re forfeiting the chance to get any professional guidance on managing the metals in your account. Unlike Self-Directed IRAs administered through a qualified custodian, Home Storage IRAs assume the account owner to be entirely self-sufficient in managing their funds. That’s great if you have decades of financial experience and want to have total independence in how your funds are managed. But if you’re like most savers, navigating the administrative upkeep of your IRA on your own is a treacherous task. Even if you manage to satisfy all the requirements and feel comfortable handling the administration of your account, there’s another catching point to consider before diving into home storage: security. 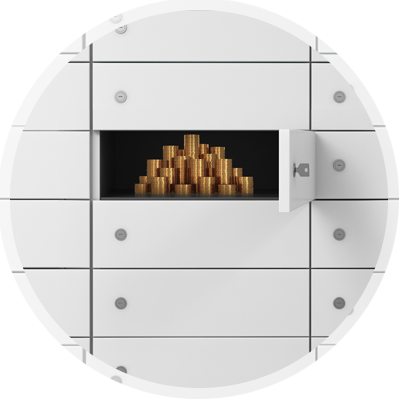 In comparison to a depository with state-of-the-art security systems, how safe will your metals be in a home safe or at a local security deposit box? Granted, the chances of a thief getting inside your home safe or security deposit box might be low, but the relative security of those storage locations pales in comparison to what you’d get from having your metals registered with an authorized custodian and stored professionally through an authorized depository. Depositories that store metals on your behalf still give you access to your gold and silver, but you get the advantage of housing them in a world-class facility where they can never fall into the wrong hands. Plus, the metals never touch the depository’s balance sheet, so they’re shielded from government entities and insulated from any trouble that might befall the depository itself. 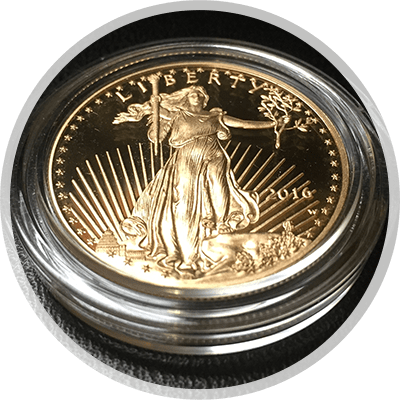 For those interested in allocating a portion of their savings in precious metals without the risk and hassle associated with a Home Storage IRA, a Self-Directed IRA managed by an authorized custodian could be the perfect solution. In fact, most people will likely find several benefits to this option compared with a Home Storage option. Here are four of the key differences and how they could work to your advantage. Self-Directed IRAs managed by an authorized custodian were acknowledged as an indisputably legal option by the IRS in 1996. The legality of Home Storage IRAs, on the other hand, is still a bit murky, and there’s no guarantee the IRS won’t decide to cause problems for home storage account holders down the road. Home Storage IRAs force the account holder to take on full liability for the ownership and management of their account. That kind of “freedom” might sound appealing, but in reality it can do more harm than good – legal fees, lack of investment guidance, increased tax liability, and the list goes on. A Self-Directed IRA managed by a qualified custodian circumvents those problems by appointing a legal custodian to administer your account. You’re still in full control of the metals that you own, but the custodial structure keeps you from getting bogged down in all the red tape, excessive fees, and overt risks of home storage. Depending on how you interpret the tax code, the Home Storage IRA structure can be rather restrictive in terms of the types of metals you’re allowed to invest in. For example, unless you designate yourself as a trustee – which is yet another complex legal process that’s very easy to get wrong and another chance to jeopardize your tax-deferred benefits – Home Storage IRAs limit your approved options for metals to American Eagle coins only. A Self-Directed IRA managed by a qualified custodian, on the other hand, opens you up to several types of gold, silver, platinum, and palladium. One of the biggest advantages is that you can remain out of the vigilant eyes of Uncle Sam and the IRS. Birch Gold Group can help you set up a Precious Metals IRA in our recommended fashion, as a Self-Directed IRA managed by a qualified custodian, so that you enjoy the same independence and control that make Home Storage IRAs so attractive, but without any of the associated liability and regulatory risk. Plus, your metals are housed at a secure depository, such as the Delaware Depository, where they’re insured up to $1 billion by Lloyd’s of London. You also have the option to store your metals in Los Angeles, New York City or Salt Lake City with Brink’s, the largest non-bank, non-government holder of precious metals in the world. You can always visit the depositories to view your metals, and you can withdraw them whenever you’d like – even if you are not yet qualified to take distributions (although this would incur the normal penalties from the IRS for early withdrawal). The metals are completely off the depository’s balance sheets, meaning they’re guarded from any external entities that might threaten to interfere with your investment. In all, it’s a fantastic solution for anyone who would like to safeguard their IRA or 401(k). If you’re interested in learning how precious metals can protect your retirement savings, and without the excessive liability of a Home Storage IRA, contact us today. Call us at (800)355-2116, or click here to request a free info kit on gold.